Emsisoft Business Security, 3 Years (50-99) [SEBS50-3] : Datastor, Datastor Australia is a value-added distributor of IT products specializing in Data Storage, Data Protection, Business Continuity and Virtualization. In a nutshell, what can Emsisoft Business Security do for your business? The File-Guard scans all files that are loaded onto or being executed on your workstation. It uses uses millions of signatures of known threats, and has been awarded many times by major antivirus testing organizations. Surf Protection prevents access to phishing sites and displays alerts when you are about to download malware from a dangerous website. Surf Protection works with all browsers, across all programs. Customized trojans designed for individual attacks are frequently used to hack businesses, and they are usually not detected by classic antivirus software. 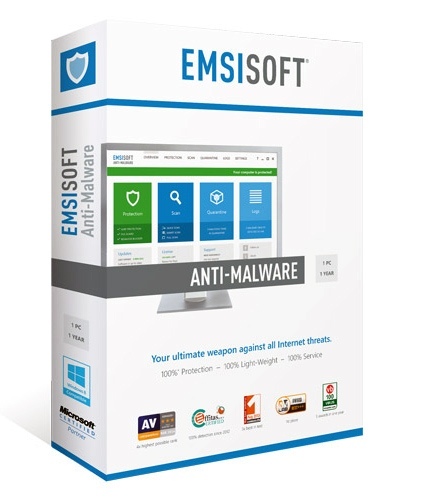 Emsisoft’s Behavior Blocking technology is an effective measure against such threats. Custom-built behavioral monitoring stops ransomware before it can encrypt any files. Ransomware decryption is rarely possible, so preventing infections is key. The included Behavior Blocker specializes in detecting behavior typical of online banking trojans, such as Zeus. A dual-engine scanner finds and removes all sorts of malicious programs. It's a full antivirus package + specialized malware cleaning routines for particularly advanced variants. Direct disk access mode detects rootkits that hide in boot sectors to provide attackers secret access. Many freeware programs install unwanted software, such as browser toolbars that modify your search provider and homepage. Others add unwanted advertising while surfing. Emsisoft Business Security specializes in finding and removing such PUPs safely and efficiently. The Emsisoft Commandline Scanner is known to be one of the most sophisticated and flexible command line interfaces around, providing top performance with frequent scans. Restrict access to protection settings for non-admin users with the advanced Active Directory connected permissions system. A global admin password can be set too. Get instant email notification whenever a malicious file is detected, to allow for instantaneous response and further investigation. Any new devices that are connected to your workstation are automatically covered by real-time protection - No action needed. Emsisoft Business Security is provided with new detection signatures at least 24 times a day, ensuring the best protection possible. Your workstation’s power belongs to your business, not to your antivirus. Emsisoft Business Security is very light on resources. You don't need to be an expert to get along with Emsisoft – but that doesn't mean you won't find lots of amazing expert features, either. Emsisoft Business Security has earned multiple VB100 awards, multiple AV-Test certifications and consistently shows in the upper quarter of all ongoing AV-Comparatives Real World protection and detection tests. Software Sales are final and not returnable or refundable. All software we supply is freely available for download to evaluate as a POC (Proof of Concept). 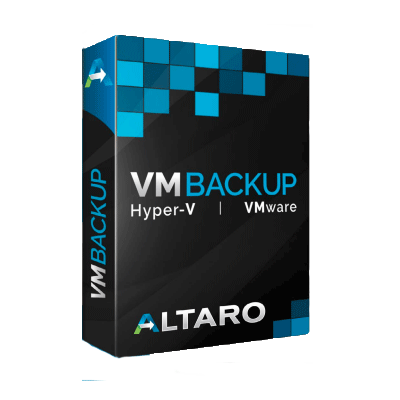 Datastor Australia is a value-added distributor of IT products specializing in Data Storage, Data Protection, Business Continuity and Virtualization.